-Base manufactured from galvanised sheet steel. -Cowl manufactured from spun aluminium. -ON-OFF electrical isolation switch fitted. 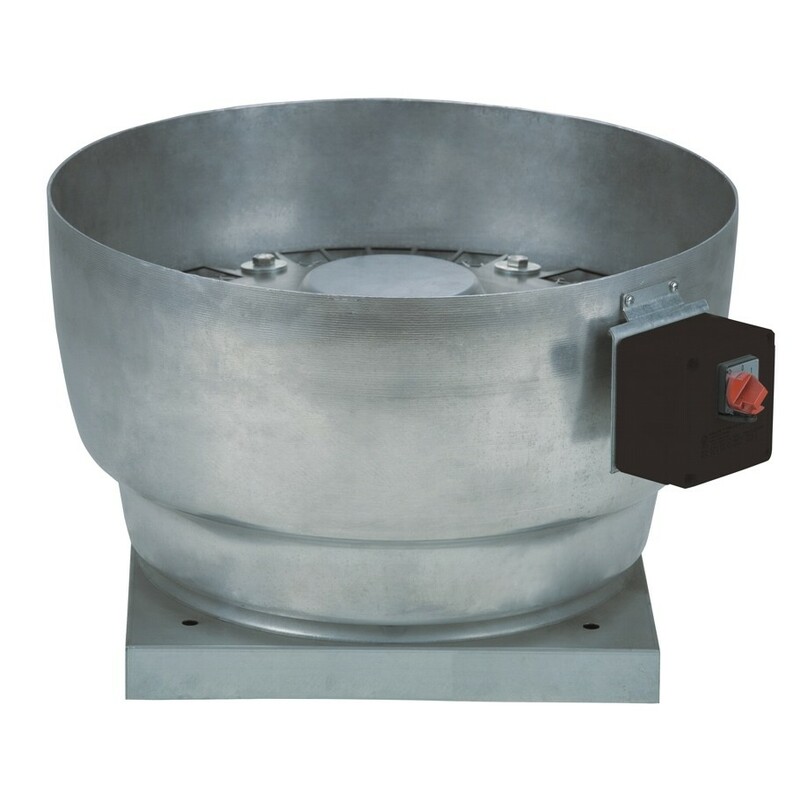 -Models suitable for operation within ambient air temperatures between -20ﾺC up to +40ﾺC. -Fan speed adjustable with the potentiometer placed in the connection box or with an external control type REB ECOWATT. -Analogical input with terminals in the terminal box to control the fan with 0-10V input signal.